A robust environment which promotes creative freedom for the users. 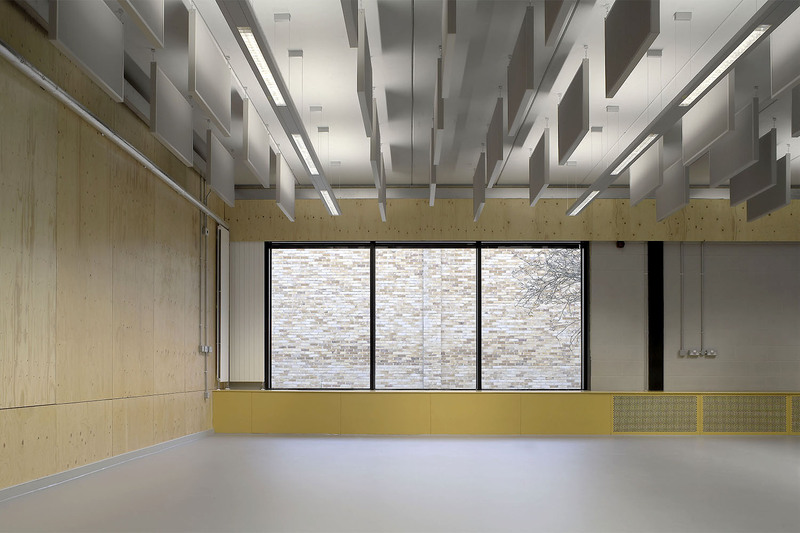 This project, Design Engine’s fourth major collaboration with the University of Winchester, is a 11,000 sqft arts faculty building. 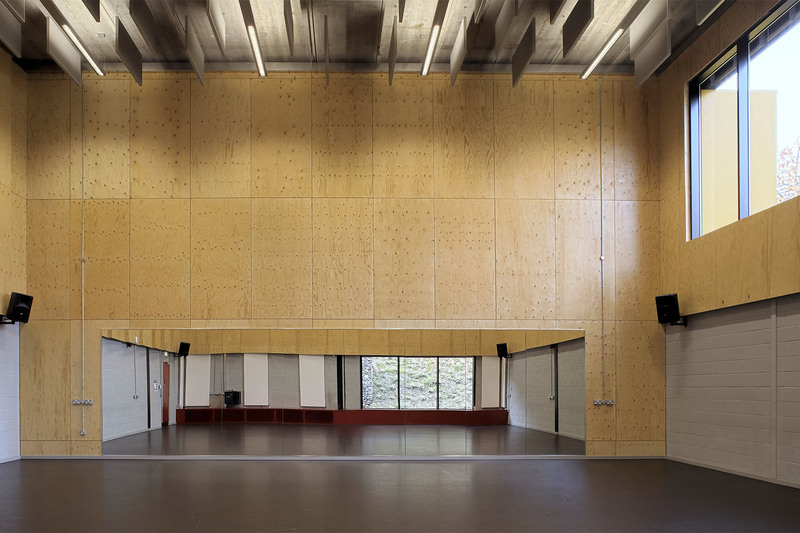 Sitting in a natural bowl, the three-storey centre is linked to other parts of the faculty and consists principally of voluminous dance studios with break-out communal areas between them. 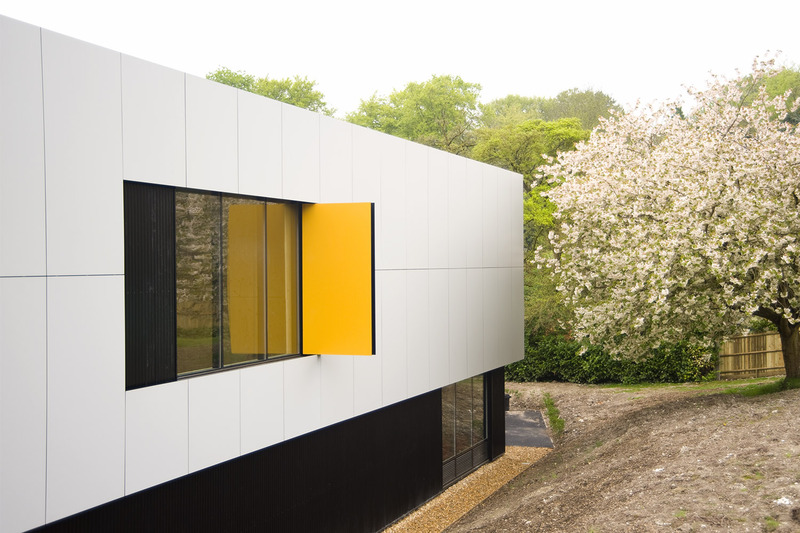 The budget of £1.8m was a demanding one for such accommodation and the project was constructed through a design and build procurement route in six months; with Design Engine providing full information before acting as Employer’s Agent for the contract. 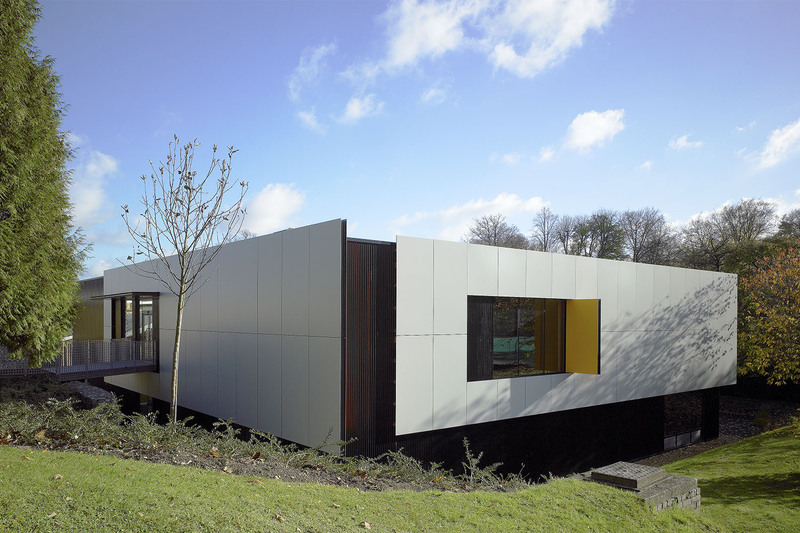 The University needed to provide their Performing Arts Faculty with new and dedicated accommodation. 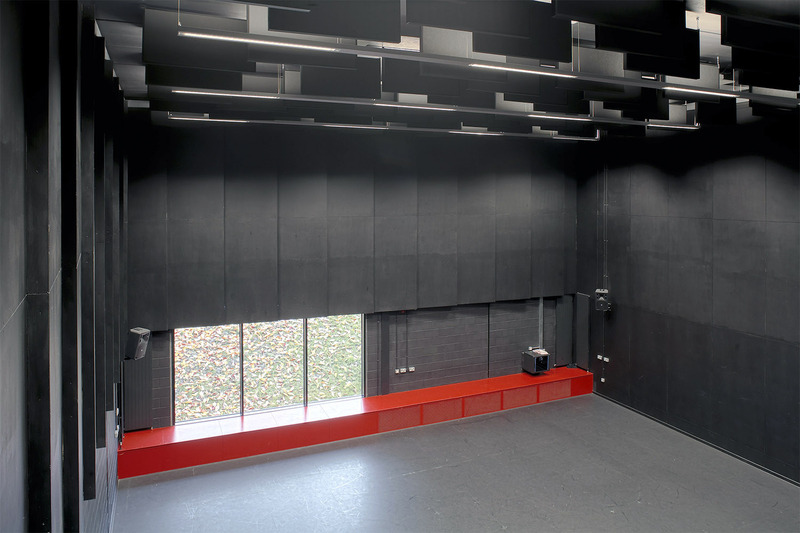 This follows a re-organisation of teaching space between Business Studies and Performing Arts within the campus. 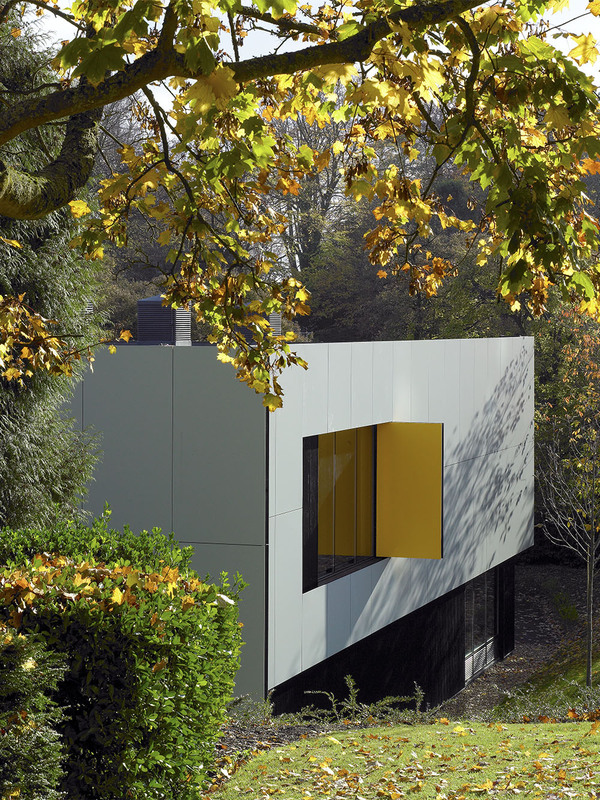 The design had to respond to a tight programme with just 14 months from conception to completion, and a budget of approximately £1,800,000. A ‘stripped down’ aesthetic was therefore chosen to meet these requirements, to create a robust environment and promote creative freedom for the users. 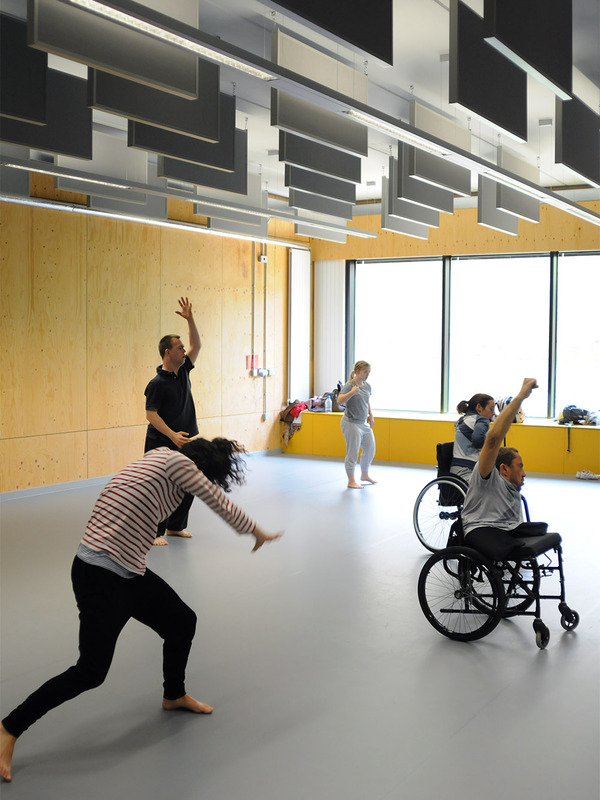 The studios provide a flexible teaching environment for physical theatre and human movement as well as seminars and academic workshops. 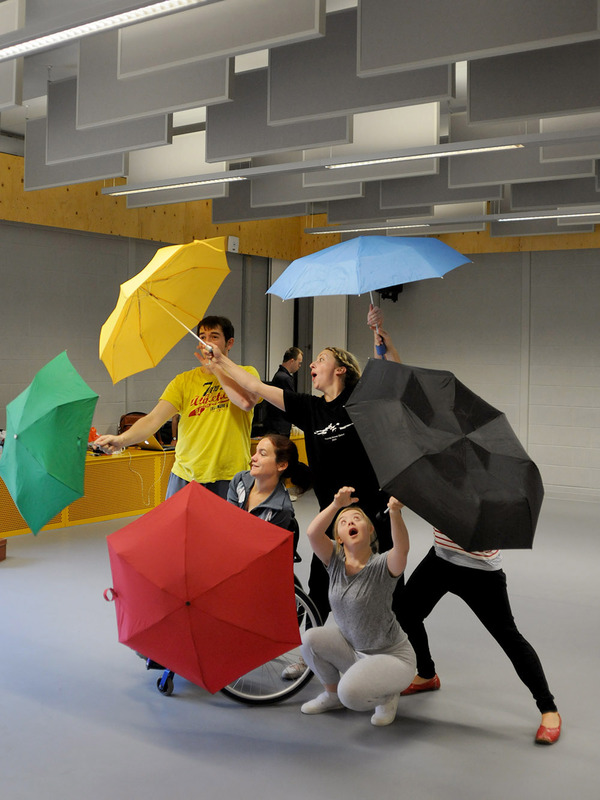 The drama studios are also used to teach stage management courses in conjunction with technical equipment for lighting and sound. The intention was to create an expression for the building that has empathy with the teaching spaces within it but that is also responsive to the surrounding context and orientation. Much of the building perimeter is obscured from direct view due to the nature of the site location and its adjacencies to surrounding buildings. We developed a strategy for each elevation based on where it can be viewed from and the relationship to neighbouring buildings, and the campus generally. Entering on the north side allows us to give the Performing Arts Faculty its own identity. 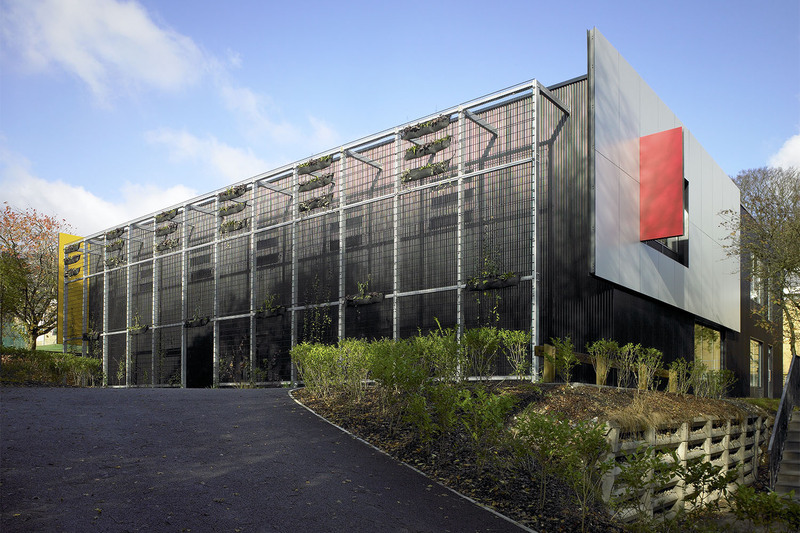 A graphic wall was proposed adjacent to the main entrance, consisting of illuminated vinyl graphics applied to the flush fixed cladding panels. These can be changed to respond to specific events or to stay ‘fresh’. Careful thought was given to creating a sustainable environmental solution that would meet the needs of the end user, neighbours and wider community. The acoustic requirements and the desire to achieve a naturally ventilated solution have had a major inﬂuence on the design principles.